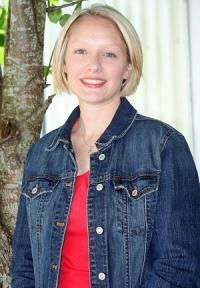 Melinda Crook has accepted the position of principal at Auburn School. Bonnie Patterson has accepted the position of principal at Woodbury Grammar. Both of these ladies have been excellent employees of the Cannon Co. School System for several years, and they definitely have a desire to see the children of Cannon Co. succeed. I look forward to working with both of them in the coming year. A little info about myself. I have been an educator in Cannon County for 29 years. I have taught at Woodland Elementary, Woodbury Grammar, and have spent the last 20 years at Cannon County High School. I was born and raised in the Short Mountain community. I live in Centertown with my husband Eddie and my daughter Kaitlin. I have 2 older children, Megan and Clint and a grandson, Grayson. I attend the Woodbury Church of Christ. I love to watch Cannon County High School sports, being with my family and working at CCHS. GO LIONS! I love to watch Cannon County High School sports, being with my family, and working at CCHS. I attend Woodbury Church of Christ. Welcome Guest to Mrs. Melinda's 5th Grade! Hello! My name is Melinda Crook, and I am the 5th grade teacher and the Assistant Principal here at Auburn Elementary. I graduated from MTSU in 2000 with a Bachelor's Degree in Elementary Education and in 2005 with a Master's Degree in Administration and Supervision. I began my teaching career here at Auburn School in 2001. I feel fortunate that I was able to come back and teach at the school where I attended grades K-8. I love our small school and community because it feels like one big family! I have been happily married for 6 years and have a beautiful little girl. I enjoy spending time with my family and watching Reality T.V. Congratulations to both of these ladies! How blessed are the children of Woodbury and Auburn! Wow! For the first time the principals' meetings will be dominated by women! Congratulations to both ladies, but a real loss for Cannon County High School losing Mrs.Patterson. She was very fair and kind to all the children at the high school. I know she will do a great job in her new position. I was VERY glad to see this news! I feel better knowing Auburn will be in good hands! You do have BIG shoes to fill but I know you can do it! Good luck! Great selections! Way to go! Awesome! - Melinda, Mr. Turney was great for so many years and as it has already been said you do have "big shoes to fill"; but has anybody seen your feet lately? ha ha! When I heard the news I did a cartwheel (on the inside)last time I tried to do one for real - let's just say it wasn't pretty. I know you will do a great job and make me proud - but then - you already have! Congratulations Bonnie, We know you will be great for Woodbury Grammar! Congrats. to all. I know you will impact many young lives..